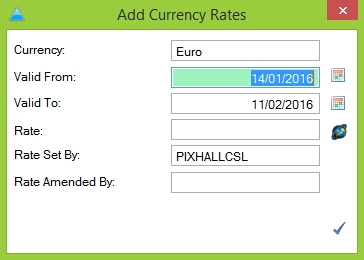 The ‘Update Currency Rates’ screen shows you a historical list of changes for the currency in question. 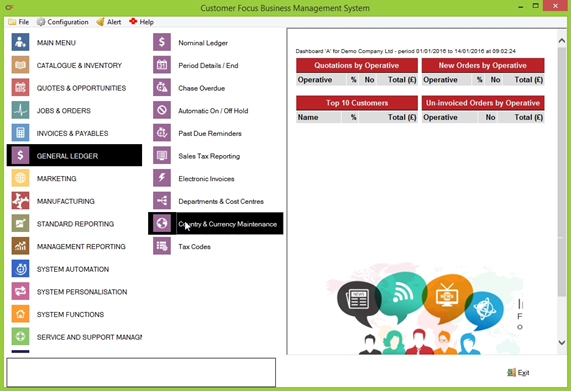 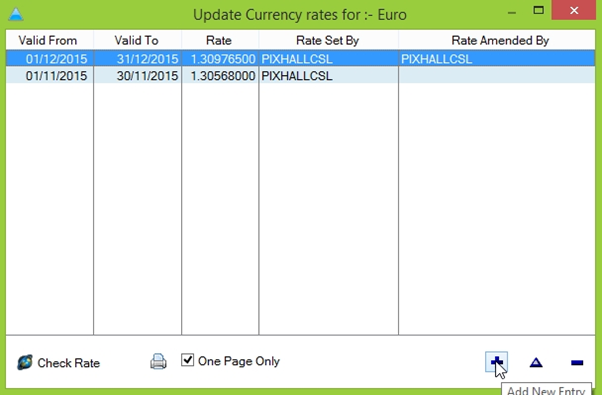 To add a rate for the current period, click the ‘Add New Entry’ button in the bottom-right of the screen. 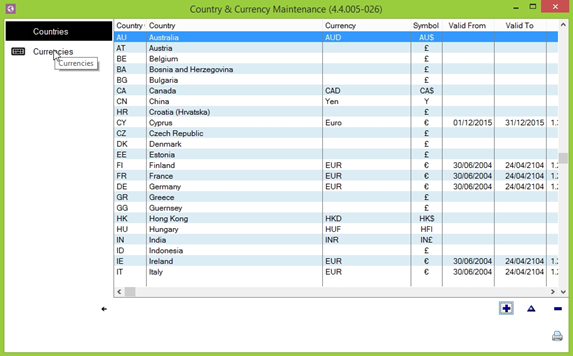 Once you’re happy, click the blue tick towards the bottom-right of the window to confirm your changes and return to the Currency Updates screen. 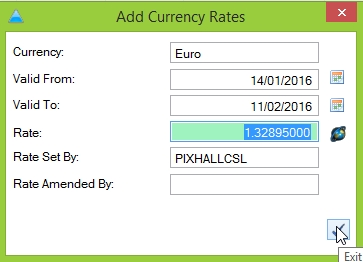 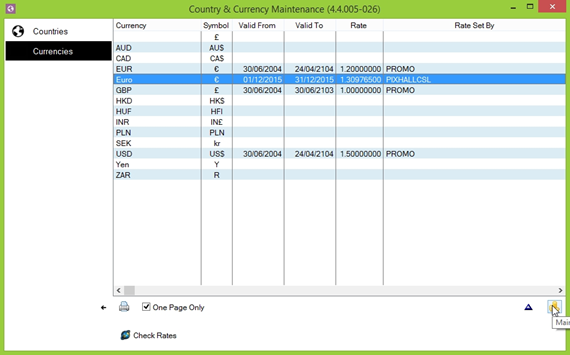 The currency rate has now been updated, and will take effect from the ‘Valid From’ date.